I love easy cooking, though sometimes I fear if it's too easy, it's not going to be good. Throw me a curve ball, some different ingredients, make me sweat, then the dish is bound to be good...or a colossal waste of time. That brings me to a recipe I saw on Food 52 where they tried to say I could cook eggplant in the microwave. Easy yes, but tasty, not so sure. Scanning the list of ingredients, I was happy to see an Asian line up featuring some of my favorite friends like tamari, vinegar, cilantro and sesame oil, but cooking in a microwave? I really only use my microwave for making tea. It fit the bill of interesting, different, and curve ball included. I decided I was game. Mixing all the ingredients was a breeze. I found it very salty which of course you're bound to get from soy sauce or tamari, so I'd use a little less than a 1/4 cup there, and I doubled the vinegar for a little more pop. The eggplant did a 45 minute sit in the marinade, 10 minutes in the microwave and voila, tasty, umami filled eggplant. It was easy, unique and sure to be a crowd pleaser. Place all ingredients except the eggplant into a blender or food processor and combine until smooth. Cut the ends of the eggplant and slice down the middle. Prick with a fork throughout, and score the flesh using a diagonal cut in both directions. 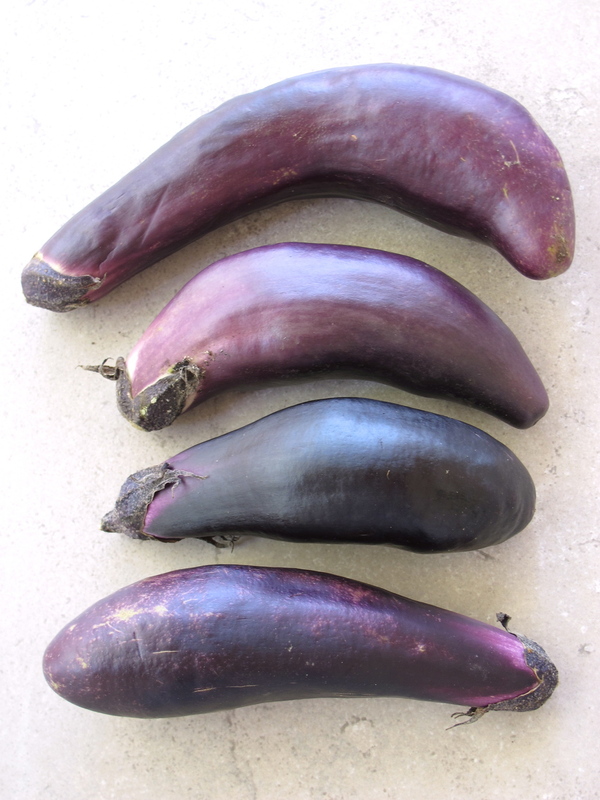 Place the eggplant skin side down in a microwave-safe dish large enough to fit all eggplant in a single layer, side by side. Spoon 1 1/2 teaspoons of the marinate over each eggplant half and work into the flesh. Flip the eggplant and put the remaining marinade into the dish. Let stand for 45 minutes. After marinading, place eggplant skin side down. Cover the dish tightly with a lid or plastic wrap that's microwave friendly. Cook on full power for 10 minutes until done.